Our goal is to connect people with the best local experts. We scored electricians on more than 25 variables across five categories, and analysed the results to give you a hand-picked list of the best electricians in San Francisco, CA. Daly City electrical contracting business A.S.F. Electric Inc. has worked on behalf of local clients since 1971. Staff technical personal specialize in commercial electrical services but are also qualified to service residential and industrial systems. Because the team includes specialists from a variety of backgrounds, including lighting, energy management, and HVAC maintenance, A.S.F. Electric Inc. has the resources and expertise necessary to service or install virtually all kinds of electrical systems. The business is Better Business Bureau accredited and belongs to the National Electrical Contractors Association as well as the International Brotherhood of Electrical Workers. Absolute Electrical, a San Carlos team of electricians, specializes in commercial and industrial electrical solutions. The business’s technical team is licensed, bonded, and insured to install and service security equipment, smoke detectors, hot tubs, and home theater appliances. Absolute Electrical has served notable commercial clients, including the local branches of FedEx Kinko’s, Dollar Tree, UPS, Best Buy, and Tesla Motors. AJ Electric has served the Bay Area in California since 1978, working in homes, offices, stores, and other locations. The company's licensed, insured, and bonded technicians are committed to safe, effective, and efficient electric solutions. Their services include, but are not limited to, wiring, rewriting, emergency lighting, lighting design, lighting installation, data networks, audio/video systems, security systems, tv installations, fire alarm installations, intercoms, and motorized shades. The Better Business Bureau gives AJ Electric an A+, and customers on Yelp and Angie's List provide the highest ratings, saying the electricians were knowledgeable, courteous, quick, orderly, and fair in their pricing. All Electric is a Kenfield provider of electrical services. The company has operated for more than 30 years in San Francisco as well as its suburbs. Technicians specialize in installing charging systems for electric and hybrid cars. They also provide consultation for homeowners regarding energy efficiency and help clients to implement home automation solutions, a.k.a. smart home systems. The staff comprises licensed and insured electrical technicians. Bay Electric brings highly customized solutions, exceptional service, and more than 25 years of professional industry experience to every client project. The full-service, San Francisco-area electrical contractor specializes in a range of top-notch services that can significantly enhance the beauty, value, safety, and energy efficiency of any property. The locally-owned business commits to customer satisfaction by utilizing the latest tools and technology to complete projects of all scopes and sizes on time and within budget. Bay Electric has the personnel and resources to meet a range of client needs and achieve desired results. Customers with the most exacting standards trust the experts to handle the full spectrum of electrical services including panels, breakers, fuses, circuits, switches, outlets, code violation corrections, and more. Canning Electric, Inc., based in San Francisco since 1995, employs a team of qualified electricians to serve customers throughout the Bay Area. The technical crew at Canning Electric, Inc. specializes in carrying out commercial and industrial electrical projects, including installations and repairs of business-grade data systems. Chasov Electrical, Voice & Data, based in San Franciso since 2000, performs residential and commercial repairs, installations, and upgrades for property owners in the city and the surrounding areas. The company’s technical crews are Diamond Certified, licensed, and insured, and the business earned a Better Business Bureau accreditation in 2001. Chasov Electrical, Voice & Data specializes in providing supplementary services for kitchen and bathroom remodels. EGL Electric, Inc. is a Pacifica-based provider of Bay Area electrical services. Established in 2009, the business specializes in lighting design and the installation of new light fixtures and light automation systems. The technical crew helps customers on new construction projects, kitchen and bathroom remodels, and troubleshooting, and is qualified to upgrade or install panels, tenant metering systems, voice and data systems, backup generators, and power-saving appliances. Electro-Integrity is a provider of San Francisco electrician services. On residential properties, the electricians can install and service light fixtures, fuse boxes, sub-panels, and kitchen electrical wiring to provide power to cooking appliances. However, Electro-Integrity specializes in serving commercial properties such as restaurants, coffee shops, spas, healthcare facilities, corporate offices, and auto repair shops. Certified, licensed, insured electricians perform all of the company’s services. Hoffman Electric, formed in Novato in 2005, brings professional electrical service options to residences throughout the San Francisco Metro. The licensed and insured team can repair lighting systems, panels, switches, and outlets, among other components of residential electrical setups. Hoffman Electric’s specialty is working with homeowners to develop and implement an energy efficiency plan. KLM Utilities is a San Francisco provider of residential and commercial electrician services. To single-family homes, apartment buildings, restaurants, retailers, and hotels, KLM Utilities provides reliable installation and repair services. The company’s personnel are licensed and insured. Furthermore, KLM Utilities is a better Business Bureau accredited firm. Kosta Electric is located in South San Francisco and performs electrical services for commercial and residential property owners in the San Francisco Metro. Established in 1998, the company’s professional electricians specialize in installing automobile charging stations and servicing faulty electrical appliances and wiring. Mahon Electric, an electrical contractor in San Francisco, has operated in the city and its suburbs for more than 15 years. Bonded, licensed, and insured, Mahon Electric is qualified to take on commercial and residential projects. Its selection of services includes panel upgrades, low voltage system installations, and television installations. Past clients speak highly of the business’s reliable work and their tidy, respectful customer service. McKee Electric is a team of licensed, insured professionals delivering electrical services to customers living and working in the San Francisco Metro region. The technicians deliver electrical audits, repairs, installations, and upgrades on commercial and residential properties alike. All of McKee Electric’s electricians are licensed and insured. Mulholland Electric has served San Francisco Metro area customers for more than 15 years. A team of licensed, bonded, and insured electricians, Mulholland Electric is available to service and install lighting fixtures, data and communication systems, security and health sensors, control panels, and automobile charging stations. REF Corp. has specialized in servicing apartment buildings’ electrical wiring since 1994. On behalf of property management firms and condo associations, REF Corp.’s licensed, insured, bonded electricians can repair, upgrade, and install lighting fixtures, appliances, and circuitry. Its services are also suitable for families living in single-family homes. Serge Electric is a Daly CIty-based electrical services business that opened in 2006. The company is Diamond Certified and Better Business Bureau accredited. All electrical service personnel are experienced, bonded, insured, and licensed professionals who undergo continual training for compliance with the latest industry standards. Serge Electric has provided installation and consultation services to some prominent brands, including J. Crew, Pet Food Express, and Seafood City Supermarket. Simpson Electric is a San Carlos-based electrical services company. 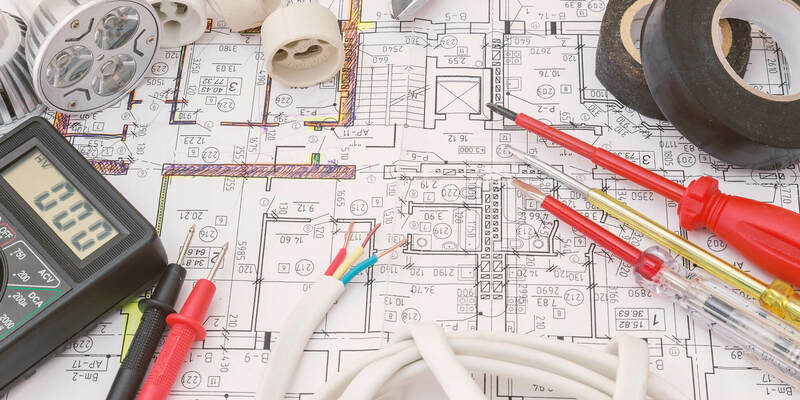 Its selection of services includes repairing faulty electrical systems, consulting for kitchen and bathroom remodeling projects, and designing new electrical systems for under-construction buildings and spaces. Clients can expect Simpson Electric’s on-call technicians to be entirely licensed, insured, and bonded. Starlite Electric, Inc., based in San Francisco for more than three decades, has serviced electrical systems and machines in the Bay Area. The company’s electrical consultants and technicians are licensed and insured, and the team includes members of the Illumination Engineer Society and the International Association of Electrical Inspectors. Starlite Electric, Inc. can help clients troubleshoot malfunctioning appliances, and it is certified to detect the presence of lead or asbestos contamination. Tuite Electric Inc. is a contractor that services residential and commercial properties in the San Francisco Metro area. Working often with local architects, designers, and contractors, the technical staff at Tuite Electric Inc. installs and services light fixtures, appliances, and commercial-scale electrical systems and generators. Additionally, to clients seeking to reduce their carbon footprint, the business offers energy efficiency audits as well as help upgrading or installing power-saving devices such as solar panels. Tuite Electric Inc. belongs to the Executives Association of San Francisco. Past clients praise Tuite Electric Inc. for its timely, thorough repair services.